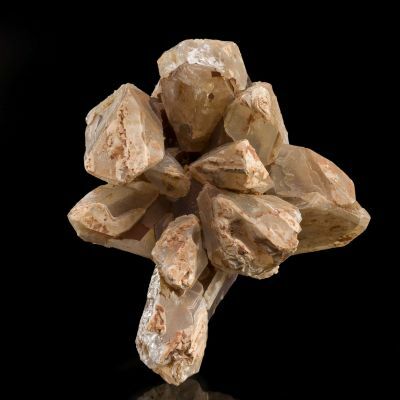 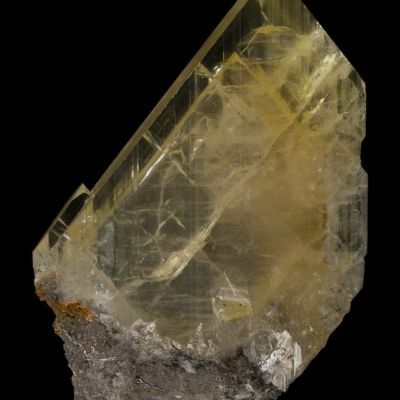 Choice, gem clear, light yellow Anglesite from the famous Touissit Mine in Morocco. 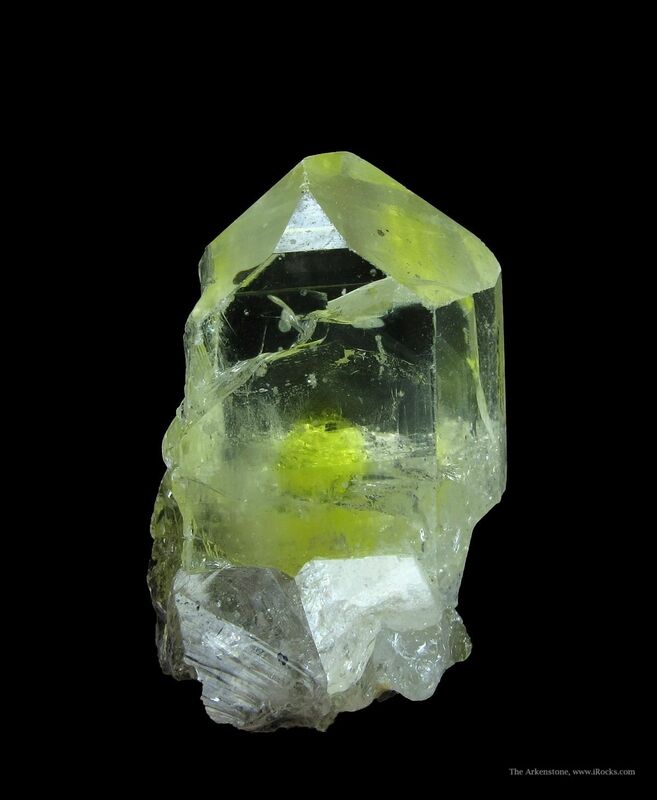 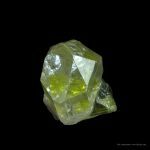 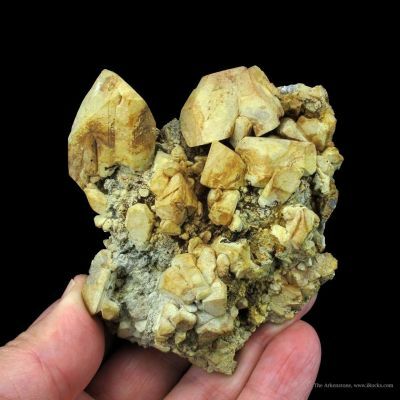 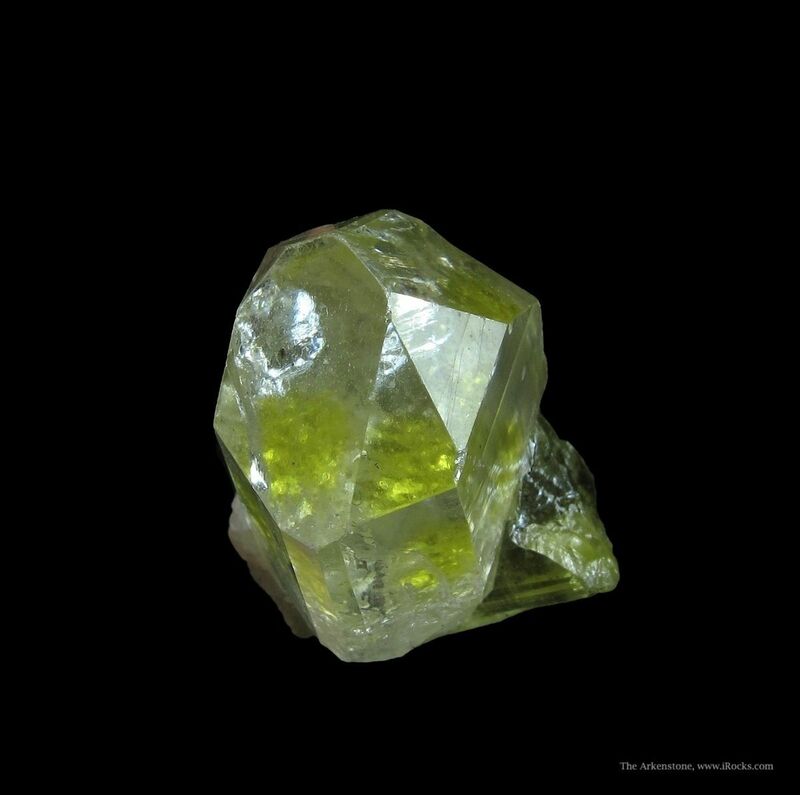 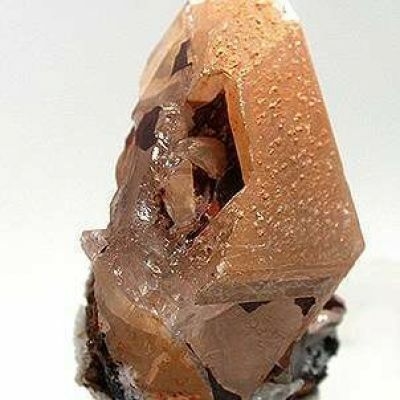 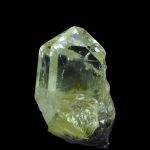 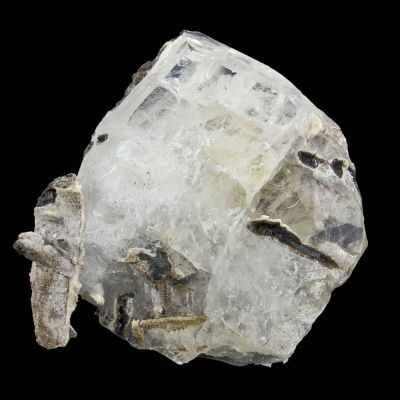 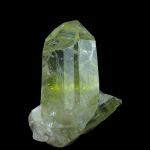 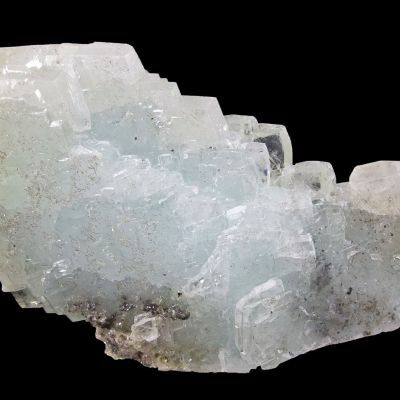 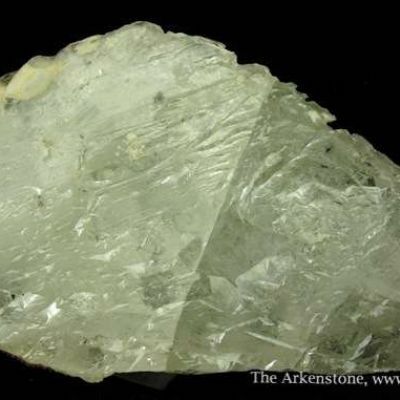 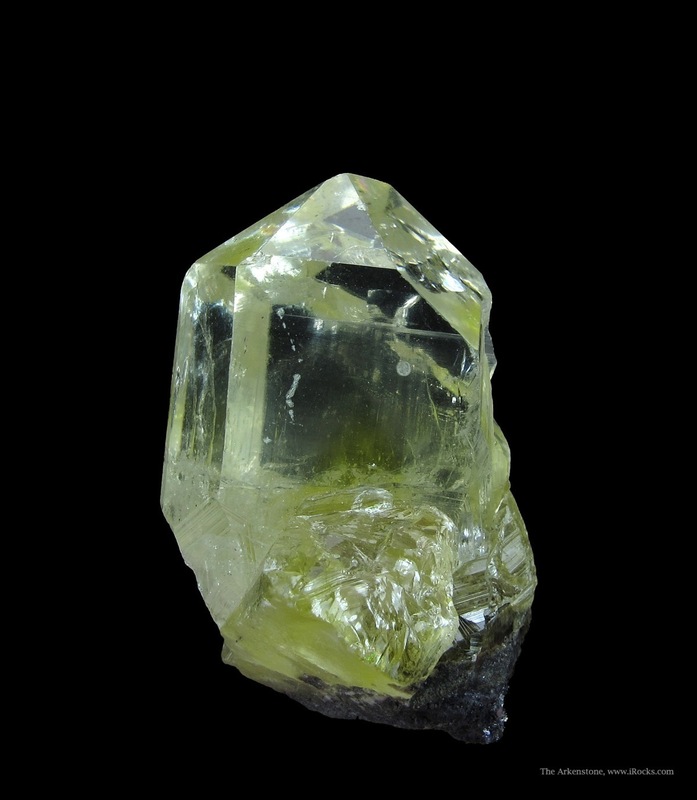 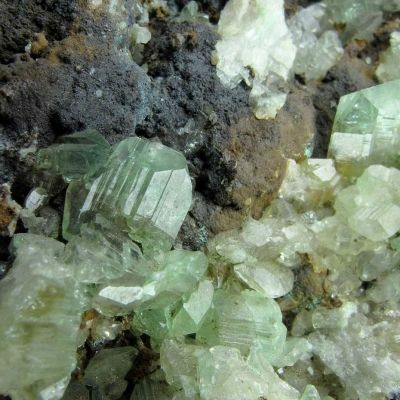 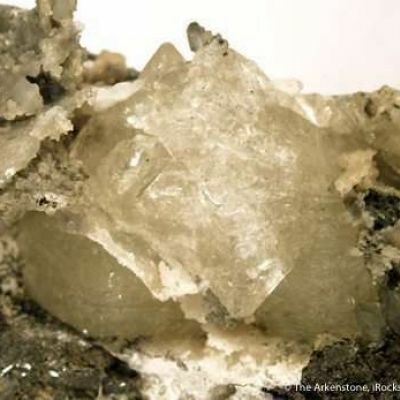 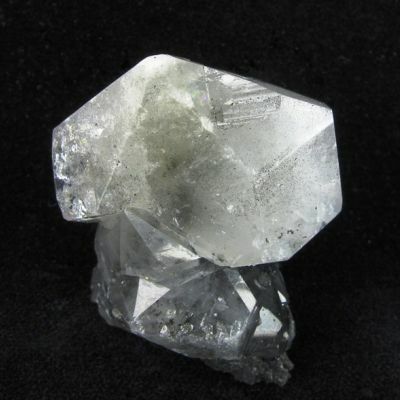 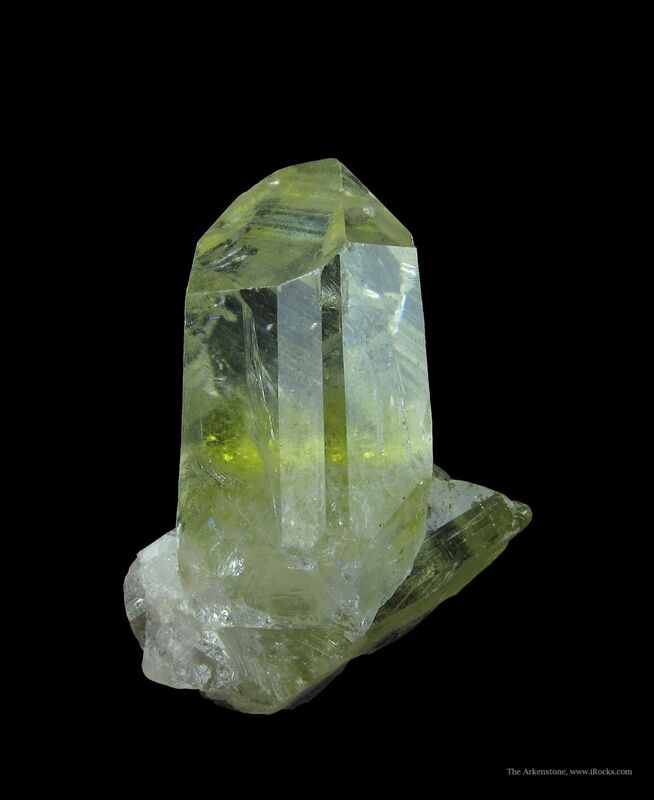 The Anglesite has very good luster, and there is a spherical zone low in the crystal that is a deeper, richer yellow, as if a tennis ball were suspended within the crystal. 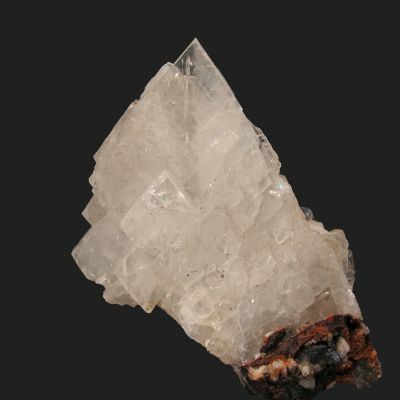 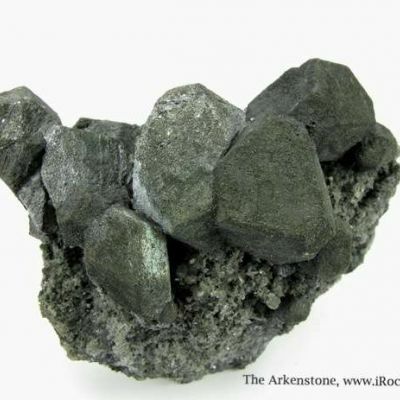 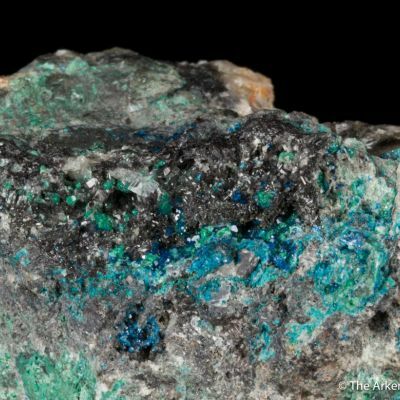 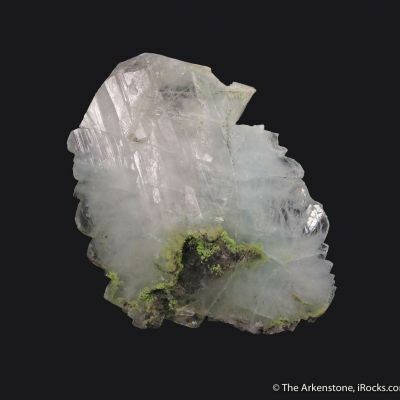 This prismatic crystal is thicker than the more classic tabular habit, and has a great termination. 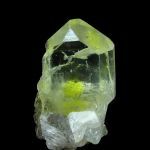 It was contacted along one narrow dimension, but the crystal is so gemmy that this does not really affect the overall presentation. 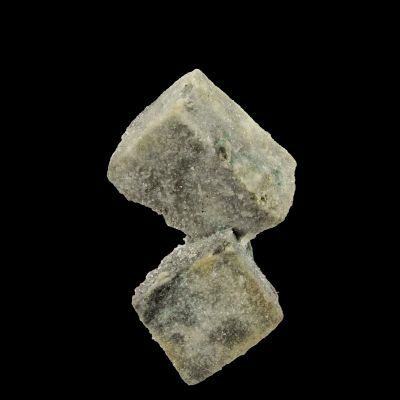 Excellent aesthetics - this is a significant Anglesite thumbnail!